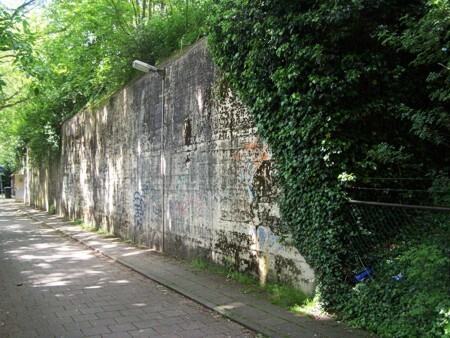 This bunker lies at a roundabout called "24 oktoberplein". It was used post war by the Dutch civil defence organisation BB and later it was in use as an archive. In front of the original entrance side an extra building was made. 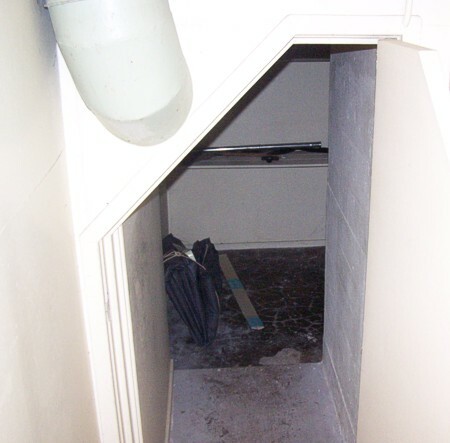 The inside of the bunker was changed very much. 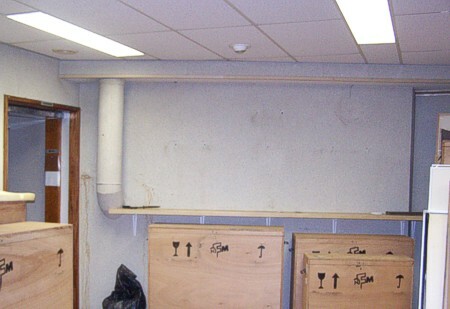 All thinner walls have been removed to create four larger rooms. The technical system has been completely renewed. We only show some impressions in which the German design is still visible. Over 28 meters of concrete. The door to the left is one of the original entrances. The white board covers the Nahkampfscharte. Inside, this was left of the entrance to the Nahkampfraum.